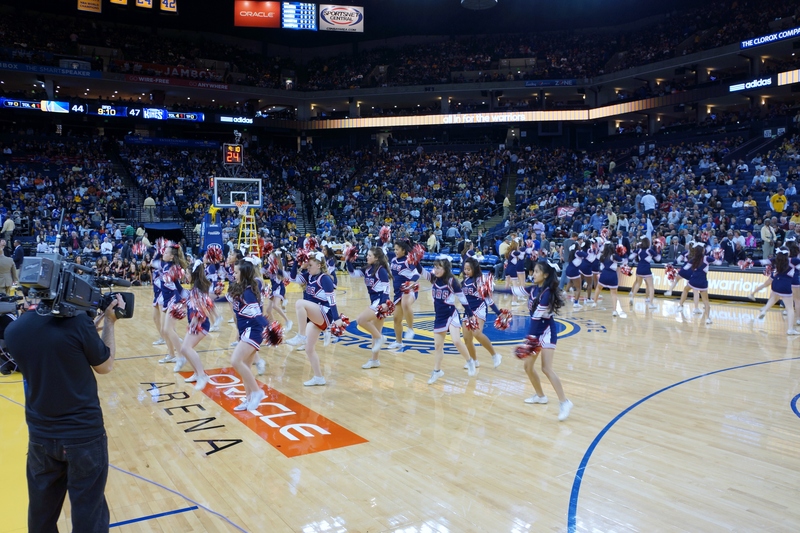 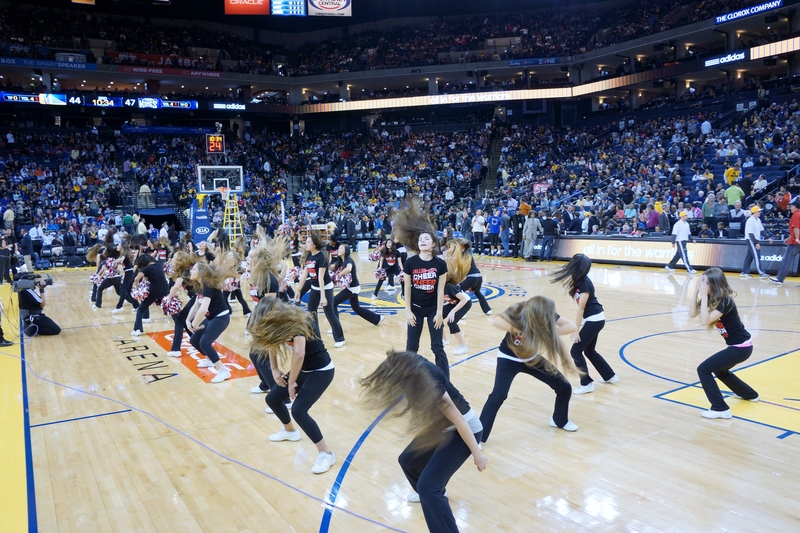 For the third year in a row, Fallon Middle School and Dublin High School took center stage in the Oracle Arena during the Golden State Warriors half time show. 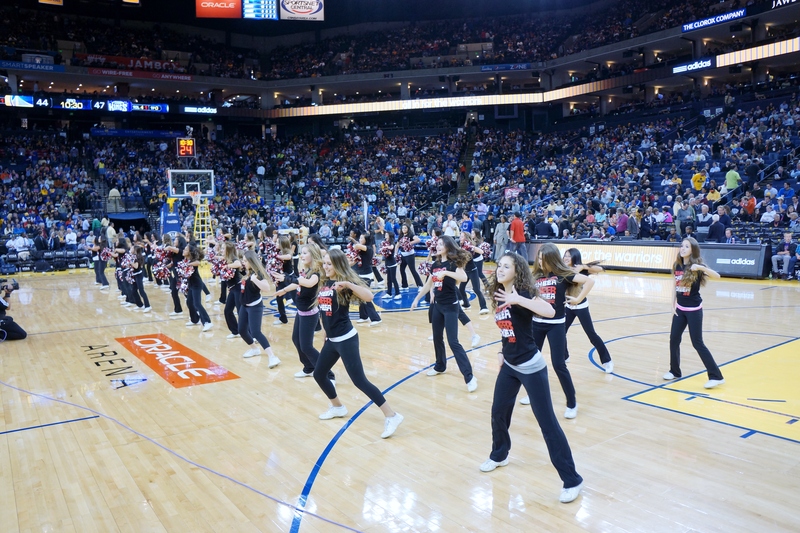 They were cheered on by a sold out crowd of Warriors basketball fans and hundreds of Dublin residents who took a Wednesday night road trip to cheer on the teams. 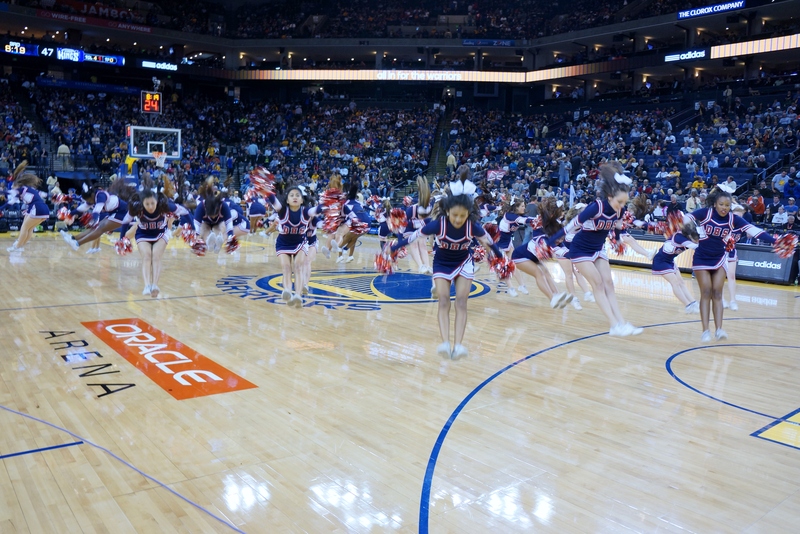 The Cheer programs in Dublin schools have expanded dramatically in recent years, due in part to the inclusive policy put in place by Dublin High School Cheer Coach Kristine Cousins (who started her Dublin Cheer career at Fallon Middle School). 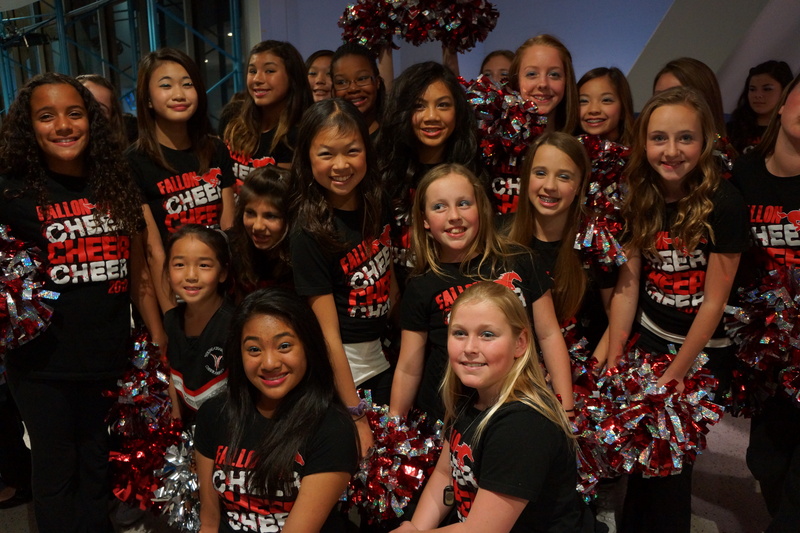 The Cheer program is split into multiple Spirit Teams and the selective Competitive Cheer Teams. 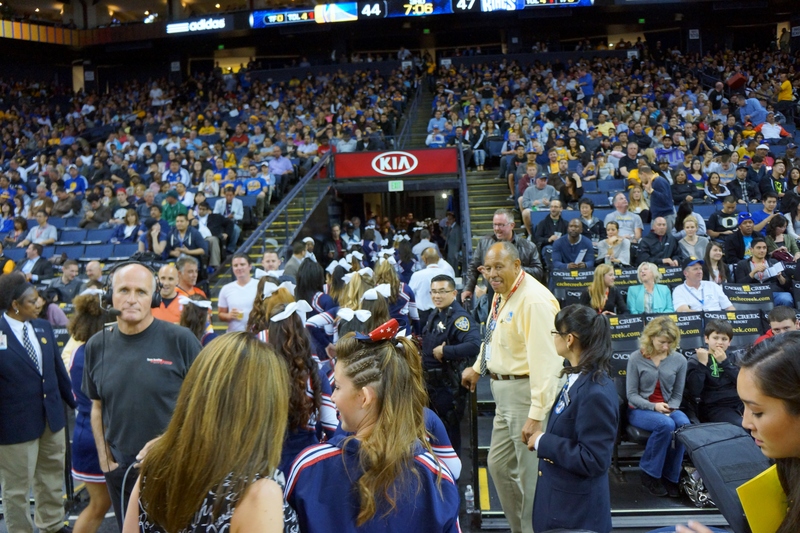 All Cheer participants have to maintain academic standing and follow a code of conduct to participate and compete. 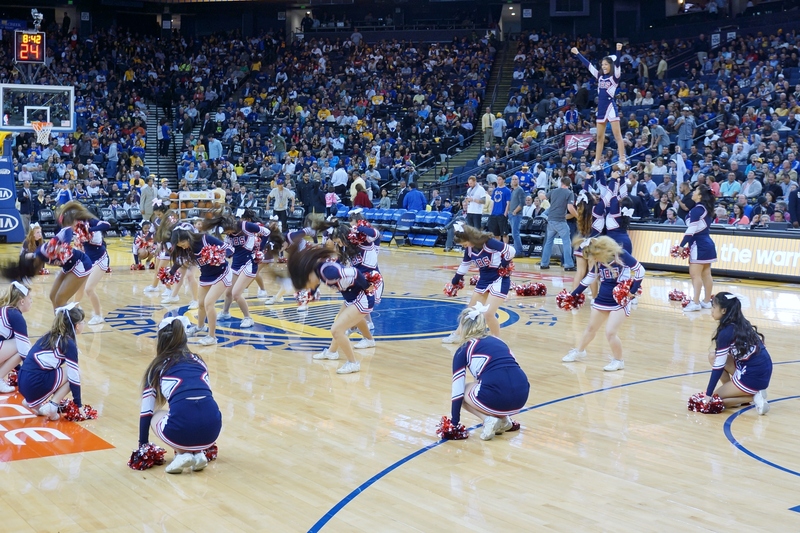 Earlier this year in Las Vegas, both the Dublin High School Junior Varsity and Varsity Cheer Teams won JAMZ Nationals in competition.